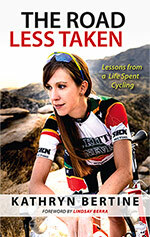 Kathryn Bertine ’97 (Triumph Books) Beginning in her early 30s, Kathryn Bertine made the life-changing decision to pursue professional cycling. Her new book of essays, meant for all who seek to challenge the ordinary path and pursue their dreams, looks at life from the perspective of following one’s heart. For Bertine, the choice to pursue cycling meant choosing bicycles over babies, highways over husbands, and carbon fiber over a fortuitous career. 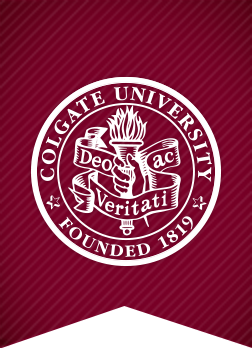 Goldie Blumenstyk ’79 (Oxford University Press) Technological innovations and disruptive market forces are buffeting colleges and universities as their financial structure grows increasingly fragile. State disinvestment has driven up tuition prices at public colleges, and student debt has reached a startling record high. Cost-minded students are questioning the worth of a college education, even as studies show its importance for economic and social mobility. As elite institutions trim financial aid in search of more sustainable business models, racial and economic stratification in higher education continues to grow. 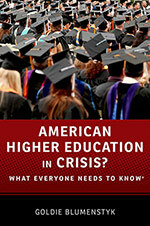 American higher education is at a crossroads, explains Goldie Blumenstyk, a reporter for the Chronicle of Higher Education. Blumenstyk guides readers through the forces and trends that have brought the education system to this point, highlighting the ways they will reshape America’s colleges in the years to come. 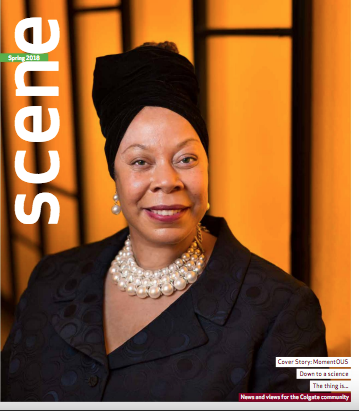 In examining this embattled and evolving arena, she emphasizes the open-ended conversation about higher education’s future and illuminates the stakes for students, colleges, and the nation. Edited by Kathleen A. Feeley ’90 and Jennifer Frost (Palgrave Macmillan) Rumor, hearsay, tittle-tattle, scuttlebutt, scandal, dirt — whatever the term, gossip is one of the most common forms of communication. And yet, even as it is often absorbing and socially significant, gossip is also widely denigrated. 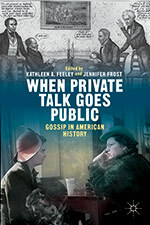 When Private Talk Goes Public: Gossip in American History brings together an array of case studies in the history of American gossip, from colonial witchcraft trials to the antebellum, free black press to the post–World War II red scare to modern celebrity culture, in print and online. Contributors from diverse disciplines explore the role of gossip in American society, culture, and politics. They trace its transformations and continuities over time and make a convincing case that we should reassess this too-readily dismissed variety of social exchange. 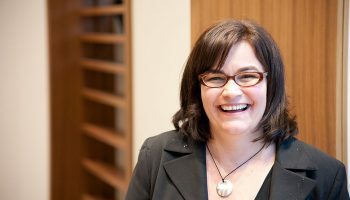 Kathleen A. Feeley teaches history at the University of Redlands and her co-editor Jennifer Frost teaches at the University of Auckland, New Zealand. 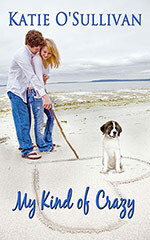 Katie O’Sullivan ’87 (The Wild Rose Press) Katie O’Sullivan’s new contemporary romance My Kind of Crazy is a story of new beginnings and second chances. Kendall Roarke is betting everything on making her Harwichport Bed & Breakfast into the premier wedding destination on Cape Cod, despite her recent messy divorce. Jonathan Reynolds moved back to the Cape to take over his uncle’s business and start fresh after his own marriage ended. He’s not looking for anything complicated — until he meets Kendall. Throw an unruly foster puppy and an uptight new neighbor into the mix and things get a little crazy. Now Kendall has to decide if it’s the kind of crazy she can live with … for the rest of her life. Philip Beard II ’85 (Dystel & Goderich Literary Management) In Philip Beard’s new novel, John Kostka is 3 feet tall but larger than life, moving through the world on gloved hands and powerful arms as if on a set of parallel bars. Henry Graham is a 10-year-old boy whose father has just left home for good. When the two meet at a downtown bus stop, all they seem to have in common is their love of the 1971 Pittsburgh Pirates. But that is enough to begin a lifelong friendship that, eventually, enables both men to confront old enemies and heal old wounds. 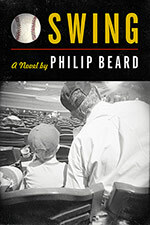 Swing is a multifaceted meditation on childhood heroes, the beauty of baseball, and the power of love to heal a family in crisis. 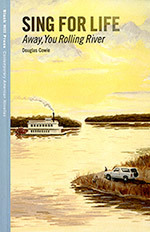 Douglas Cowie ’99 Away, You Rolling River, the second part of Douglas Cowie’s Sing for Life diptych, continues the story of a musician named Brian who is on a personal journey that’s taken him from Iowa, to Manhattan’s Tin Pan Alley, to Minnesota and beyond. Following the trail of a postcard sent to him by his long-missing friend, Brian travels in search of clues — and as he does, the search for his friend becomes a discovery of himself. 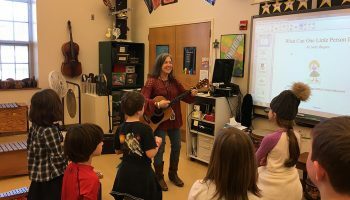 As Brian encounters a variety of musicians and their music, he begins to use these experiences as a means of shaping his own relationship to the country he’s living in and traveling through. William Loizeaux ’76 (Syracuse University Press) Tired of their high school teaching jobs and discouraged by their failed attempts at conceiving a child, Mark and Fran Finley decide they need a change in their lives. Abruptly, they leave their friends and family in suburban New Jersey to begin anew as innkeepers in the Adirondack Mountains. There they muddle through their first season at the inn, but miraculously, conceive a child, a girl they name Nat. Years later, when Mark and Fran are nearing middle age and Nat is a troubled teenager, Mark’s life is ripped apart, and he must choose between returning to his old home in New Jersey or trying to rebuild what is left of his life in the place of his greatest joy and deepest sorrow. 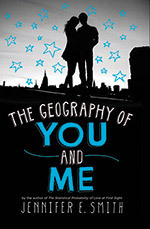 Jennifer E. Smith ’03 (Poppy) Jennifer E. Smith’s new young adult novel, The Geography of You and Me, shows that the center of the world isn’t necessarily a place. Sometimes, it can be a person. Lucy lives on the 24th floor. Owen lives in the basement. It’s fitting, then, that they meet in the middle — stuck between two floors of a New York City apartment building, on an elevator rendered useless by a citywide blackout. After they’re rescued, Lucy and Owen spend the night wandering the darkened streets and marveling at the rare appearance of stars above Manhattan. But once the power is back, so is reality. Lucy soon moves abroad with her parents, while Owen heads out west with his father. Their relationship plays out across the globe as they stay in touch through postcards, e-mails, and phone calls. But can they — despite the odds — find a way to reunite? 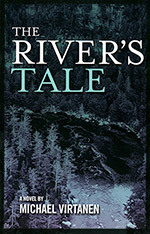 Michael Virtanen ’76 (Lost Pond Press) In The River’s Tale, Alison Reade flees to the Adirondacks to escape an obsessive boyfriend. 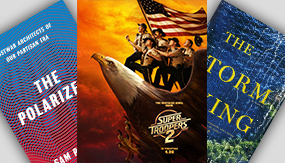 She moves into her aunt’s cabin on an isolated stretch of the Hudson River, lands a job as a rafting guide, and starts to fall in love with her charismatic boss. Life is good — until she discovers that the Adirondacks are not the safe haven she thought they were. Jack Kirkland, the main character in Within a Forest Dark, reappears in Michael Virtanen’s new novel as an insurance examiner investigating a drowning in the Hudson Gorge. 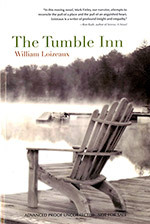 Both novels are infused with Virtanen’s knowledge and love of the Adirondacks. Amy Baram Reid ’86 translated from French and wrote the afterword for Far from My Father (UVA/CARAF), the latest novel from Veronique Tadjo. A woman returns to the Côte d’Ivoire after her father’s death and confronts not only unresolved family issues that she had left behind but also questions about her own identity. A Handbook for Managing Strategic Processes: Becoming Agile in a World of Changing Realities (Author House) by Michael W. Lodato ’54 provides steps for strategic management at all levels. In Punishment Enough: A Different Approach to Doing Time — One Superintendent’s Journey to Transform the Experience of Incarceration (David Miller Press), author David L. Miller ’65 reflects upon 39 years in the New York State Department of Corrections. 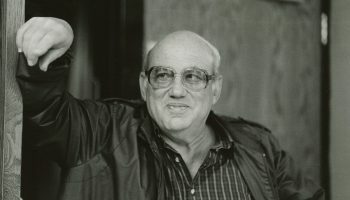 During his tenure, Miller believed in patience, humor, shared humanity, and creative programming to transform life within a maximum security prison.